The International Criminal Court issued a long awaited arrest warrant last week against President of Sudan Omar Al Bashir. 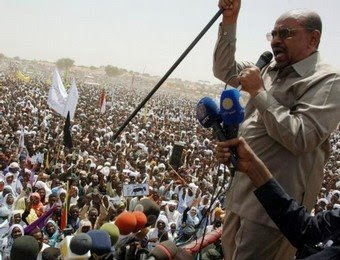 In its first warrant against a serving head of State, the panel of the ICC judges ruled that Al Bashir should answer two counts of war crimes, and five counts of crimes against humanity related to the conflict in Darfur. The warrant issued has been praised by most Western countries including the United States. However, the history of the relations between the US and the ICC is all about “conflicts and disagreements”, and it is essential to mention that Washington did not ratify the Rome Treaty that brought the ICC into being in 2002. To avoid any confusion, it is essential here to shed some light on the ICC and its relation with the American “Power”. The International Criminal Court is not to be confused with the International Court of Justice. It is a permanent tribunal to prosecute individuals for genocide, crimes against humanity, war crimes, and the crime of aggression. As of March 2009, 108 states are members of the Court; however, a number of states, including China, Russia, India and the United States, are critical of the Court and have not joined. The Court is designed to complement existing national judicial systems: it can exercise its jurisdiction only when national courts are unwilling or unable to investigate or prosecute such crimes. Primary responsibility to investigate and punish crimes is therefore left to individual states. To date, the Court has opened investigations into four situations: Northern Uganda, the Democratic Republic of the Congo, the Central African Republic and Darfur. The Court has issued public arrest warrants for thirteen people; seven of them remain free, two have died, and four are in custody. The Court's first trial, of Congolese militia leader Thomas Lubanga, began on 26 January 2009. Regarding the Court’s relation with Washington, it is primordial to mention that The US has been so far in opposition to ratifying the Rome Statute and joining the ICC. However, the United States took no action to oppose using the ICC to prosecute atrocities in Darfur, as evidenced by the U.S. abstention on United Nations Security Council Resolution 1593 referring the Darfur situation to the ICC for prosecution. The U.S. State Department has in the past published a long list of US objections against the ICC, stating that it is vague, broad, and has unaccountable powers, that the statute of the Court is an “infringement of national sovereignty and is in incompatibility with the American Constitution”, and finally, that it paves the way to “politically motivated prosecutions”. The US State Department has even posted a Frequently Asked Questions section on its website explaining why Washington is against ratifying the ICC Treaty. The above “facts” are clear, and they are nothing but a brief summary of a whole juridical literature written during the past few years regarding the US position towards the ICC. However, the US support of the ICC, specifically in Al Bashir’s case, is a clear example of a politically motivated act, rather than a support for the international legality. Washington is actually harming the international system with its attempt to serve its National Interest by using a young legal body that needs to go a long way ahead, before proving its independence, credibility and authority. In that sense, it is maybe time to remind that there is no democracy, national or global, without implementing the principle of separation of powers. In other words the need is for a separation of the legal international system from any political interference once a judicial process is launched.